Our respective childhoods are littered with various nuances of pop culture that help define that period for each of us. And depending on when you grew up, the medium and nature of these memories can take on a wide variety of shapes and forms. 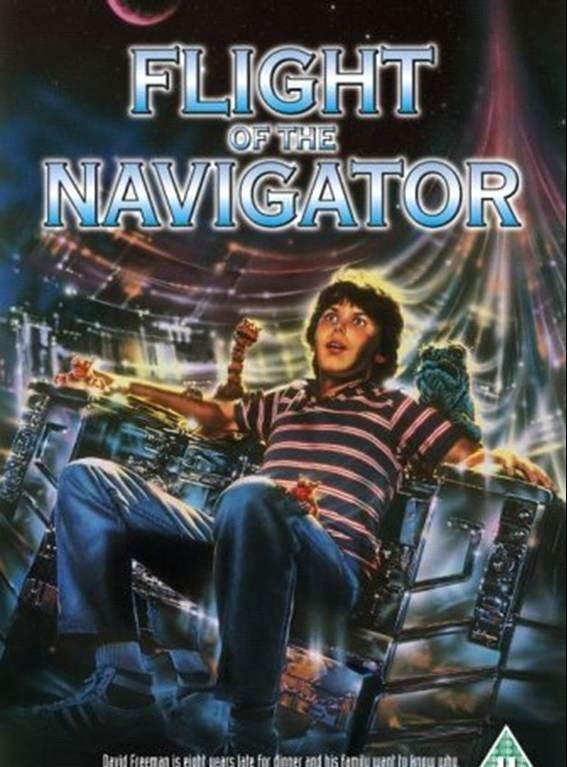 Flight of the Navigator was one of those movies that my family had saved on VHS for one reason or another. It was one of those movies that I watched far more than I should have only because it was readily on-hand for those boring afternoons when it seemed like nothing worth watching was on TV. And in hindsight, it's quite the gem of a movie that captures the period well and yet also exploring a nice aspect of science fiction. It made the whole space concept a little easier to deal with for kids, at least in my opinion, and it's still a heck of a lot of fun. Synopsis: Flight of the Navigator is a 1986 science fiction movie directed by Randal Kleiser with a screenplay by Mark H. Baker and Michael Burton. It was one of the first movies to dabble in CGI effects, especially with the iconic spaceship in the movie. David Freeman (Joey Cramer) is our protagonist - a 12 year old boy living in Florida in 1978. On the 4th of July his mother asks him to go fetch his younger brother at a friend's place nearby. But while walking through the woods to get him, he falls down a small ravine and is knocked unconscious. When he does wake up eventually, it is somehow already 1986 and his family has disappeared. Meanwhile, an extraterrestrial craft has crashed into some power lines and NASA is quick to claim it. They are unable to get into the vessel, however, given there are no apparent doors or windows on the vessel. This brings us back to David, who eventually gets admitted to a hospital, where his lack of aging these past few years turns out to be somehow linked to the spacecraft. Now the kid in me doesn't remember a lot of the heavier stuff and just focuses on the main cool factor in the movie - when David is eventually united with the ship and becomes the titular "Navigator" in command of the ship. I mean seriously, what kid wouldn't want to be in control of a space ship, right? The visual styling for the ship was definitely impressive, ranging from its silvery-smooth exterior to its metallic interiors as well. I don't want to spoils things for those of you who missed out on this movie, but the fact that the ship's internal modules tuck away out of sight when not needed did make for some fun visuals. Admittedly, the movie has significant pacing issues and there are a lot of times when it felt boring even for me. Everyone just wants to see the spaceship after all and all the scenes when this is not the focus do tend to drag out for a bit. Plus it certainly had that small town feel in many of the scenes. Was it a good decision to have the ship's artificial intelligence voiced by Paul Reubens? That's hard to say, admittedly. By modern standards, he might be considered a rather weird choice. In 1986, we all loved Pee-Wee Herman and so it's hard to find fault in that. Thus his voice casting was definitely part of the overall time-place set of the movie that roots it firmly in the 1980's. For a movie somewhat geared towards children, it does have some fairly heavy concepts like the mission of the ship, it's ability to travel through time and of course the eventual solution to things when David finally goes back home. At its core, it's yet another children's movie about responsibility, about appreciating your family and knowing what's important in life. And it may be about how cool science is and how the government - even NASA - may not have all the best ideas in terms of dealing with extraterrestrial life. Flight of the Navigator may not be the best movie out there, but it is certainly one of the more endearing science fiction films out there. I really hope that they don't try to remake this particular movie - I really do like it the way it is.